We have 27 children in our class this year. It is very early days in Primary 1 and everything is unfamiliar; coming down from our small Nursery to the big school. Nevertheless we are having lots of fun with new toys and give our parents a last hug to say good-bye each morning! Some of our friends even got the bus on their very first day; this was very brave! We have been shown our special spots on the carpet and where we sit on the dog, house and car tables. 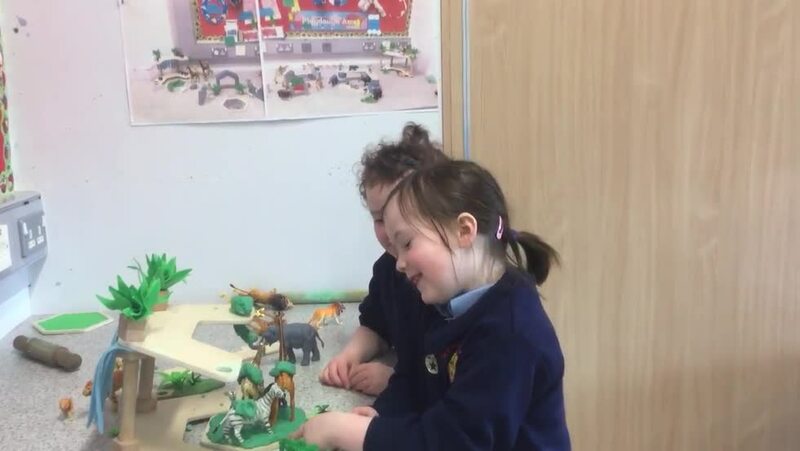 Next week we will get the chance to play in the play-room with some of the Primary 2 children but we have to choose a space on the play-board each morning. We will play outside in the play-ground as we come into school and see our older brothers, sisters or cousins before we go to the big hall for assembly. We are a little uncomfortable with the stiff school shirts and can't understand why we don't have trays for our belongings like nursery did! Mrs. Burns tells us that it will be time for a little work next week after we play so we will be very tired when we go home! Thank you to all the parents who took time to attend the Primary 1 meeting on Monday and we will post first day pictures very soon.